EXCLUSIVE! The anticipation … the first bite … the dashed hopes. 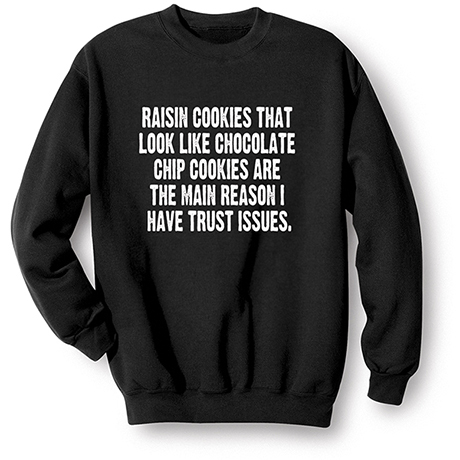 Because if you wanted raisins, you'd eat cereal. Black sweatshirt is 50/50 cotton blend. Sizes S-3XL. Imported.